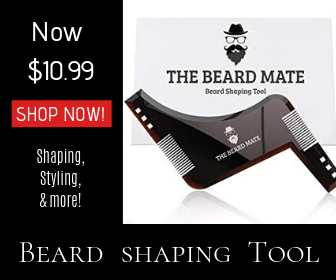 There are thousands of men who have rough facial hair, and need a shaver that can handle any type of beard with ease. In this Panasonic ES LV95 review, we’re going to look at the highlighted features of the Panasonic ES LV95 electric razor. 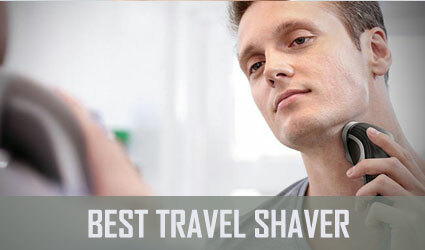 This wet and dry shaver is built for optimal cutting efficiency, and is equipped with a unique five-blade cutting system that can automatically adjust its cutting power depending on how coarse your beard is. Along with its features, we’re also going to go over the razor’s pros, cons, and user reviews. 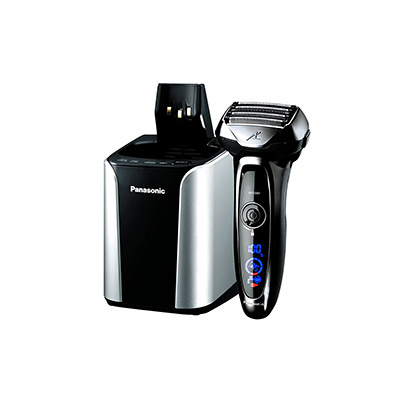 The Panasonic ES LV95 is designed to provide maximum comfort, while having the ideal cutting efficiency. It can be used on both wet and dry hair, and utilizes a five-blade cutting system, for a closer shave than what most razors can give you. The power setting automatically adjusts itself based on the thickness and texture of your facial hair. For a more effective shave, the Multi-Flex pivoting head allows the razor to glide smoothly along the contours of your face, for enhanced comfort. Because the razor is waterproof, you can use it in the shower, which is a bonus for those with sensitive skin. You can also use a variety of shaving gels and foams with it. Additionally, the Hyper Performance linear motor delivers 14,000 cuts per minute, which is 70,000 cross-cutting actions per minute, across five blades. The five-minute quick charge is useful if you forget to fully charge the razor for an hour beforehand. This can come in quite handy for those in a morning rush. The universal voltage is convenient for travelers, since it automatically adjusts the voltage as necessary.  When it comes to cleaning the razor, the included cleaning station makes that easy for you, since it cleans, charges, and dries the unit, all in one quick step. The ES LV95 has a lot of pros, and in this section of the Panasonic ES LV95 review, we cover those pros. Wet and dry. This razor is compatible with both wet and dry facial hair, and you can also use shaving cream or gel, without it jamming up. This can come in handy for sensitive skin types. Quick charge. If you didn’t fully charge the razor, it can be charged for five minutes, and then used for a morning touch up. A full charge takes about an hour, which is actually quite low compared to many of its competitors. Easy to clean. Because of the included cleaning station, you can clean, charge, and dry the razor all in one step, without having to raise a finger. Hyper performance motor. The powerful motor does 14,000 cuts per minute, which is 70,000 cross-cutting actions per minute across all five blades, for maximum shaving efficiency. Even though the razor has its strengths, there are some issues that some users may come across while using it, and we want to talk about them as well. Cleaning mixture evaporates quickly. Because the cleaning compartment is open to air, the cleaning mixture is prone to evaporating quickly, especially in warmer climates. Shaving sensor glitch. 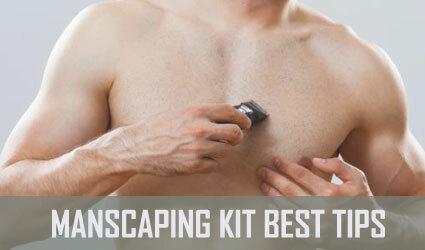 Although the automatic sensor is convenient when it works, it can sometimes have issues when dealing with particularly thick facial hair, and certain kinds of shaving gels/creams. Those with very coarse beards should consider how this can affect its performance. Expensive replacement blades. The blades are said to do a good job of giving a close shave, but the cost of replacing them can be a bit much. Expect to pay around $100 for a new foil and blade set. Along with the Panasonic ES LV95 razor comes a premium automatic cleaning and charging station that can be activated with a push of a button, to keep the razor hygienic and ready for your next shave. 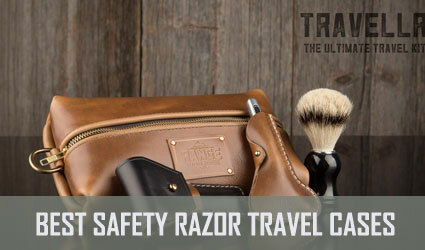 There’s also a cordless razor AC recharger, and a travel pouch for the razor. Although this razor is more on the expensive side, most Panasonic ES LV95 reviews claim that this is a great device for getting a close shave, whether you use it in the shower or over the sink. A positive review says the quick-charge feature comes in really handy for a rushed morning, and that the pop-up trimmer is the perfect tool for sideburns. The razor is said to be ideal for sensitive skin types, because of the hair sensor that helps reduce the cutting power, along with the ability to use any shaving gel you please. Another ES LV95 review states that the razor can be a bit loud during use and during the cleaning cycle, but the charging time doesn’t take too long. The five-blade system gives a particularly close shave, without irritating the skin too much, but it’s still recommended to moisturize afterwards. Also, the dual pivoting heads tend to adapt to the contours of your face better than most competing razors. A more negative ES LV95 review points out issues such as the hair sensor having issues with very thick and coarse beards. While the cleaning solution is cheaper than what Braun cleaning systems use, it can evaporated rather quickly, since the reservoir is exposed to air. Cleaning the razor is easy enough, but the noises the station makes can be a little annoying. To sum up, the Panasonic ES LV95 seems like an optimal choice for men looking for a close shave, with as little irritation as possible. 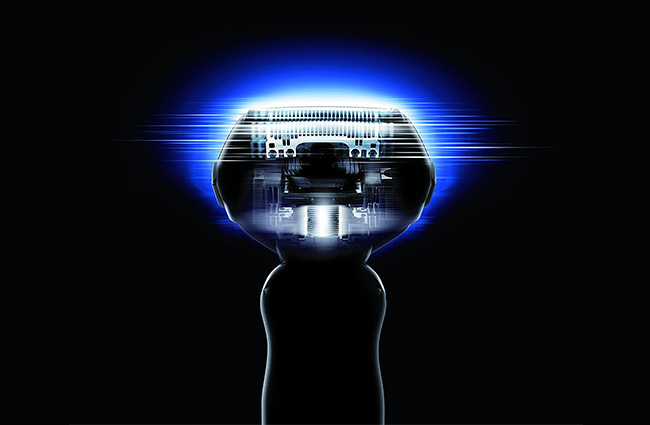 The hyper performance motor is able to do 14,000 cuts per minute, for high cutting efficiency, and its pivoting head easily adapts to the contours of your face. Cleaning the razor is easy, since all you have to do is set it in the station, and it’ll clean, charge, and dry it for you. The Panasonic ES LV95 is quite the solid option in terms of shaving devices, and we hope this ES LV95 review was able to show that.